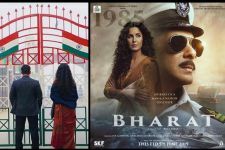 The year 2018 turned out to be a great year for content-oriented movies which were appreciated by critics as well as the audiences. But 2018 was no less than a nightmare for the Khans of Bollywood - Shah Rukh Khan, Salman Khan and Aamir Khan. 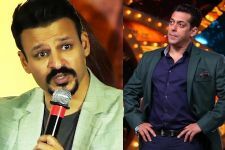 While SRK's Zero turned out to be a box-office disaster ending up with a lifetime collection of over Rs 90 crore, Salman's Race 3, that earned a little over Rs 165 crore, was declared a flop. Aamir's Thugs of Hindostan, too, failed to work its magic at the box-office. 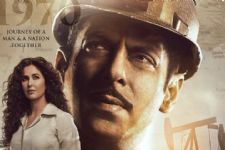 The film barely crossed the Rs 150 crore-mark. 2019 is here and fans of the Khan trio, at the very least, are hoping that they won't be left disappointed. But SRK and Aamir may not have any film releases this year, to begin with! According to recent media reports, SRK, who was all set to play India's first space traveller Rakesh Sharma in his biopic, has opted out of it. Rumours are rife that the superstar has chosen Farhan Akhtar's Don 3 over the Mahesh Mathai directorial. If Don 3 indeed gets planned for release this year, it will most likely arrive in cinemas on a non-holiday since the big holidays of Eid, Diwali and Christmas are already booked for the release of Bharat, Housefull 4 and Brahmastra, respectively. 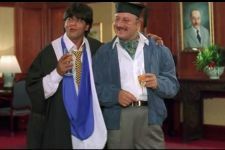 And if the makers are aiming a holiday release for the third instalment of the Don series, it will have to be moved to 2020 because SRK, we are certain, wouldn't want to risk his venture by getting into a box-office battle. Aamir, on the other hand, is reportedly busy with Mahabharata, which is expected to release in the form of a seven-part web-series. In all likelihood, Mr Perfectionist won't be seen on the silver screen this year. 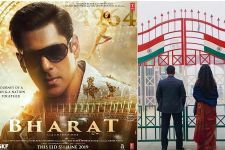 The only Khan who will definitely make it to cinemas this year is Salman, whose Bharat will come out on Eid. The Ali Abbas Zafar directorial also stars Katrina Kaif, Disha Patani, Jackie Shroff and Tabu in important roles. Bhushan Kumar produces Anurag Basu's next! Whaaat? Oh No! I was looking forward to seeing Shah Rukh in the Rakesh Sharma biopic. Bad choice to pot out out of it Rukhi! Think it over and reconsider. Seriously sequels can never b better than an original one.